Prague, May 25 2018. Parcel logistics provider GLS was awarded for its ThinkResponsible CSR program, through which it promotes the principles of sustainable development and corporate social responsibility. In awarding the Prize of the governor of the Vysočina Region for social responsibility for 2017, GLS took second place. As a part of the ThinkGreen initiative, GLS aims to reduce the negative impact of parcel transport on the environment, constantly lowering the average volume of CO2 emissions per delivered package, planting trees, or supporting a Do práce na kole (Bike to Work) project. ThinkSocial supports, for example, the Dejme dětem šanci (Let's give children a chance) organisation or the Daruj hračku (Donate a toy) Christmas project. GLS was ranked second in the Prize of the governor of the Vysočina Region for social responsibility for 2017 in the private sector category of up to 250 employees. For this year's third edition of the regional competition, 29 competitors have submitted. "Of course, we are very pleased with the award, social responsibility and ecology are key topics for us. At the transnational level, we are already employing 32 environmental specialists," says Pavel Včela, director of GLS Czech Republic, adding: "When comparing the fiscal years 2015/2016 and 2016/2017, we managed to reduce the average volume of CO2 emissions per vehicle by 15 % within Europe. At the same time, GLS Group reduced water consumption by 8.3 % and increased the share of recycled paper from 3.1 % to 7.3 %." Within the ThinkResponsible CSR program, GLS focuses on two sub-programs, ThinkGreen and ThinkSocial, in all countries of its competence. ThinkGreen program focuses on environmental protection, namely responsible resource use, emission reduction and waste management optimalization. ThinkSocial focuses on social responsibility, both inside and outside the company. It emphasizes respect for employees, their needs and their personal and professional growth. ThinkSocial also helps people who are not related to GLS. Support of the Dejme dětem šanci (Let's give children a chance) organisation or a free Christmas gifts delivery within the Daruj hračku (Donate a toy) project might be an example. GLS aims to minimize the impact of parcel transport on the environment. Its environmental management system is certified according to ISO 14 001: 2015 norm, which is used to regularly record and monitor GLS' progress in the field of ecology. 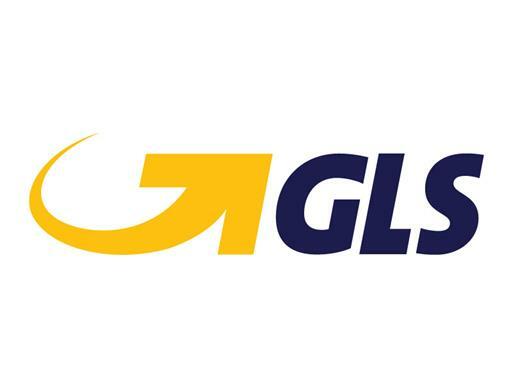 GLS Group collects data on emissions, resource consumption and waste disposal. The method used to calculate emissions is in line with ISO 14064-1 norm and the Kyoto Protocol on greenhouse gases emission reduction. The results of the long-term effort of GLS are regularly published in the Sustainability Report. GLS also regularly updates its fleet with an emphasis on the environmental aspects of newly purchased cars. In Europe, GLS provides parcel logistics also with electromobiles, compressed natural gas vehicles or electric bicycles. Emissions generated by the parcel transport are compensated by planting of trees into the Czech landscape. GLS is also the general partner of Do práce na kole (Bike to Work) project.